This elite collection from the infamous Kief Sweat HSO presents to you all Ewe-2 cannabis seeds! Kief has ensured that the elite clones from B-Real of Cyprus Hill have been maintained for well over a decade as well as producing a number of exquisite and unique flavor profiles which have expanded his already diverse genetic lineup. 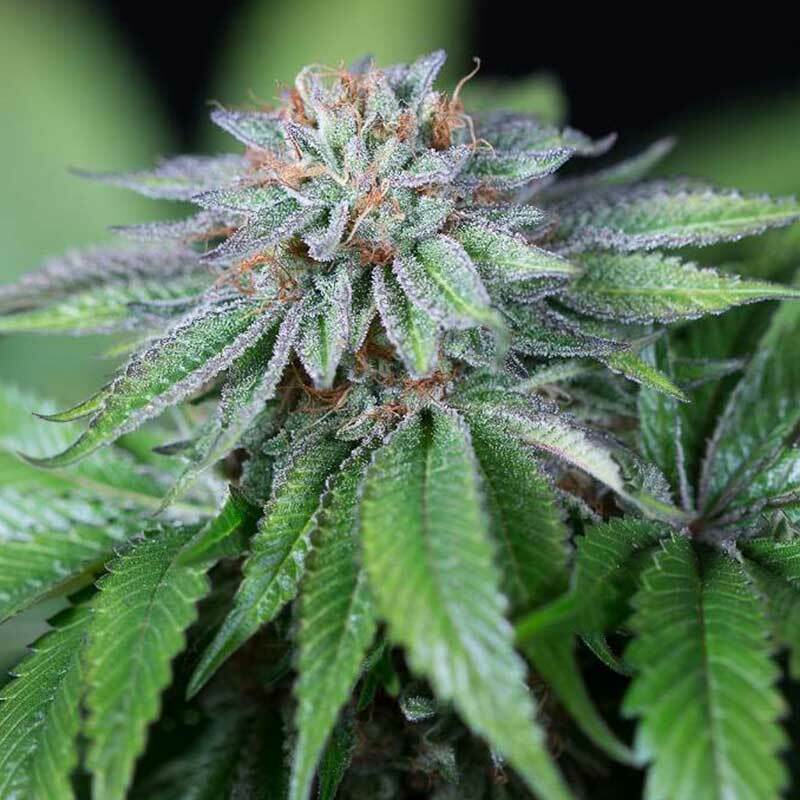 This legendary heirloom genetic has the pure Indica expression. She is stout & short in nature and has thick and broad leaves which are supported by a vigorous branching as well as an amazingly aggressive root system. The dense foliage keeps those deep emerald green shades and you can expect a slow but strong development throughout the vegetative cycles. It is recommended that you use topping to create some distance between the terminal buds which allows for a much deeper light penetration. This lady won't stretch much so it’s imperative that you grow her to the height you desire because you may only see a 15% growth rate in size during her flowering time. To assist in rock solid but development you will need to be thinning the fan leaves during the flowering period. The buds will form into big crown shapes very quickly and they will be of quite a substantial weight and this is by far one of the biggest producing Indica in this lineup. Amazingly this will finish in around just 52+ days, and this girl has sharp and gassy undertones and an earthy overtone, you will be left with the type of high which will see you locked to your couch for a good while. This Indica is fantastic for getting relief from pain and also aids in sound sleep, a powerful cerebral effect. This plant can easily yield 500 grams per square meter when grown indoors, not the largest yield but.. Most of our autoflowering feminized strains are easy to grow. This one, however, is so easy to grow ..
We have created a real grapefruit in cannabis form for lovers of the bitter, sweet and citrus flavor..